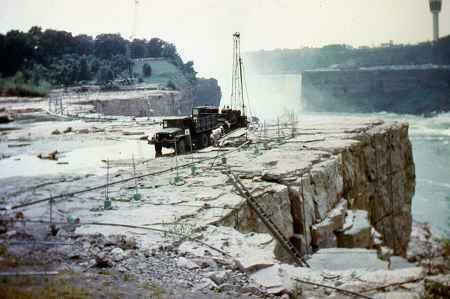 Engineers shut off the American Falls in 1969. The state's plan for replacing two historic bridges between the city of Niagara Falls and Goat Island requires diverting the river's flow around the work zone. Though the project has not been funded yet, Percy says it's never too early to start putting the right marketing plan in place. "We want to work with tour operators around the world, years out, to say this is going to take place. And prepare for it by inviting your groups, or your customers, from all sectors of the world to come and witness this." Percy calls the dry Falls is a great opportunity to boost tourism. State officials are holding a public hearing on the proposed project at 5 p.m. Wednesday in the Conference and Event Center Niagara Falls.